Steven T. Olivas, Ph.D., HSP, nationally-renowned speaker, author and behavior consultant, is a licensed psychologist in private practice in Middle Tennessee. He began his practice career in 1991 when ADHD was exploding onto the scene and has enjoyed working with the energy and spontaneous creativity of children ever since. Throughout his career, he has taught courses at nine colleges and universities, been a national public speaker, a regular columnist for a local newspaper and co-host of a popular radio show. He is the author of When Good Kids Go Bad: Effective Solutions for Problem Behaviors (PESI, 2012) and the acclaimed book Bad Kids … or Bad Behavior? (Author’s Corner, 2008). For nearly 25 years, he has been helping clinicians, school systems and parents around the country understand and manage the kids and teens most likely to act out in impulsive and aggressive manners. 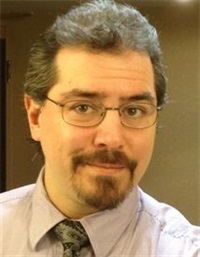 Financial: Steven T. Olivas is an author for Premier Publishing & Media and receives royalty payments. He is an author for Author’s Corner Publishing and receives royalty payments. He is a speaker who receives an honorarium for PESI, Inc. Non-financial: Steven T. Olivas has no relevant non-financial relationship to disclose.